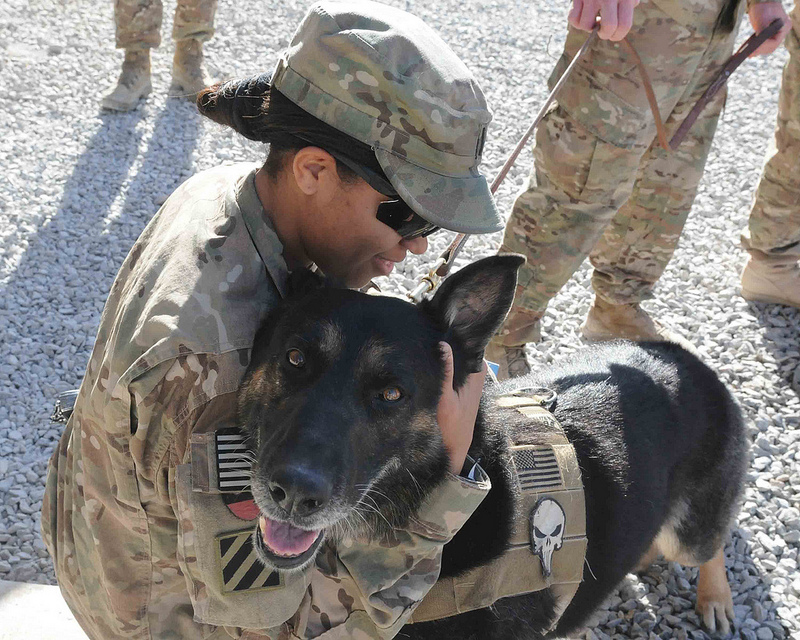 1st Lt. Gina Lane, a JVB action officer, spends time with the Military Working Dogs during a reenlistment ceremony for Sgt. Shawn A. Thomas at RC-S, Feb. 8, 2013. U.S.